Alicia Silverstone anti-vax meeting that no-one went to. 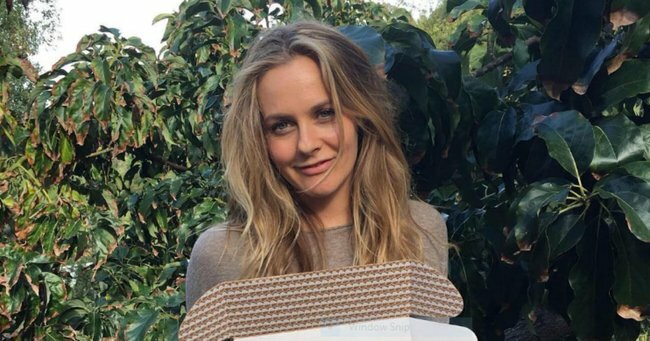 Anti-vaxxer Alicia Silverstone's strange Sydney park get-together. There’s a universal and inherent human fear that if we throw a party, no-one will come and we will spend our days resenting the invention of Netflix for turning humans into lazy, effortless friends. For some it’s a fear, for others, a reality. And Alicia Silverstone is living it right now. The Clueless star-turned-wellness-advocate-turned-anti-vaxx-campaigner visited Sydney last week and decided to meet up with fans of her Kind Life blog as a means of connecting “in person”. In an email to fans, Silverstone’s management wrote they were “trying to organise a kind life meetup so Alicia can connect in person with you all”. Although management did acknowledge they wanted the meeting to be “low-key” and they didn’t specify how many people they considered “all” to be, we assume it may have a tad more than the eight people the Daily Telegraph reports turned up to chat with Silverstone about all things vegan and living an “eco-friendly” life. Although once a 90s acting superstar, the mother-of-one has turned into a science skeptic and anti-vaxxer, criticised by doctors and parents for igniting dangerous, and often baseless ideas including tampons may cause infertility, eating plants can cure MS, and vaccines are dangerous. In the past, Silverstone has quoted “anecdotal evidence from doctors who have gotten distressed phone calls from parents claiming their child was ‘never the same’ after receiving a vaccine” and has written that “vaccines given to pregnant women could be correlated with autism”. The 39-year-old led to raised eyebrows back in 2012 as well for posting a video to her website showing the actress pre-chewing her child’s food before feeding it to him. Fellow vegan advocate Katrina Fox was one of the estimated 15 people who turned up, writing on Instagram that Silverstone was “very sweet and generous to spend time with us during her vacation and is a wonderful vegan advocate for a kind world”.